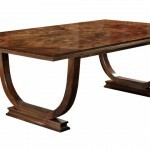 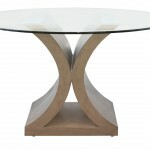 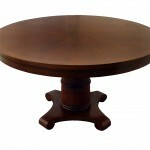 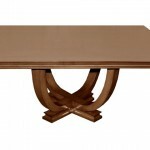 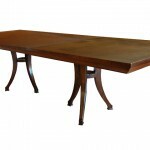 A truly grand dining table that is guaranteed to be a future heirloom. 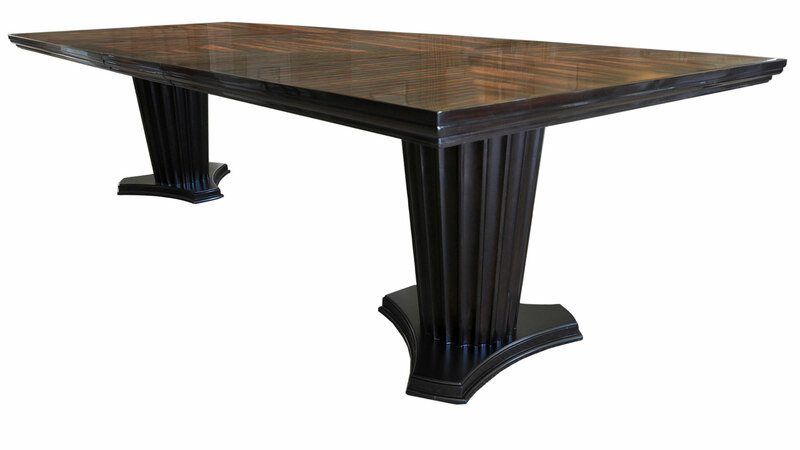 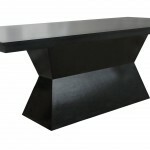 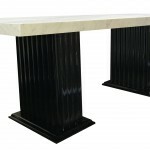 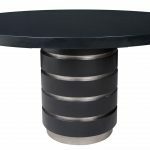 This extravagant piece showcases fluted double pedestal legs in a black mahogany, supporting a macassar ebony table top applied in diamond cut pattern and finalized with a premiere bartop finish. 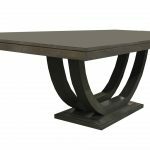 Part of the Plush Home furniture line designed by Nina Petronzio, this luxury piece is environmentally hand-crafted in Los Angeles. 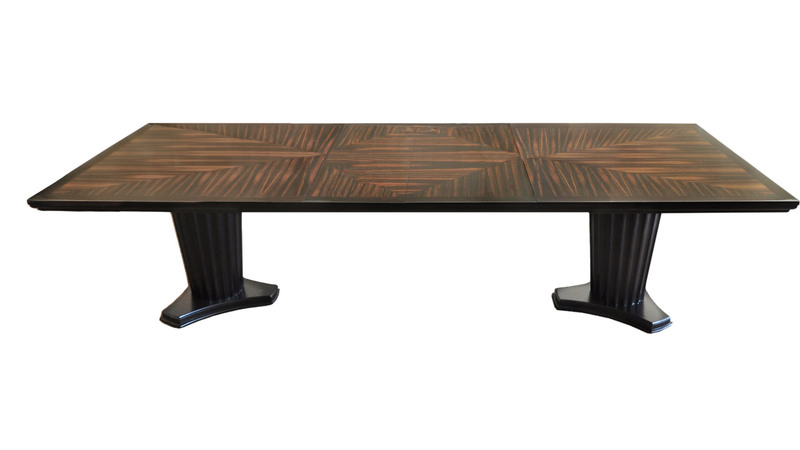 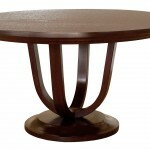 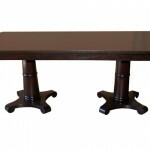 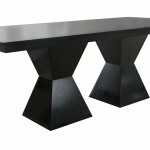 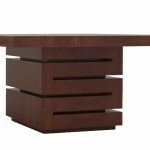 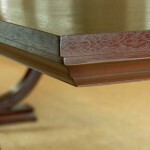 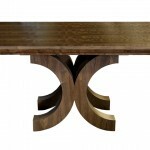 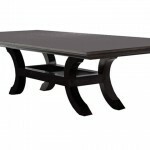 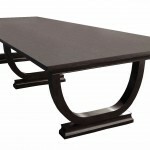 WOOD: Shown in master cut macassar ebony top with walnut base and borders. 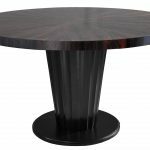 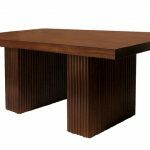 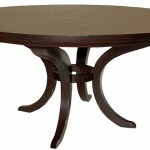 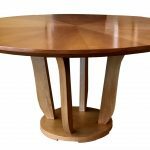 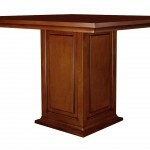 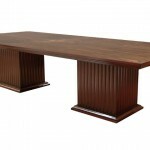 Also available in maple, mahogany, walnut, oak, teak, painted lacquer, and exotic wood selections (macassar ebony, flamed mahogany, walnut burl, mappa burl, etc).